HAWKESBURY — A new three-storey building opens its doors at Hawkesbury and District General Hospital (HGH). Identified as Block B, the building houses the Medical Day Unit, Ambulatory Clinics, Hemodialysis, Outpatient Rehab, Complex Continuing Care and administrative offices. This new building is part of the HGH redevelopment project. The moves into the new premises will be done sequentially over the months of January and February. 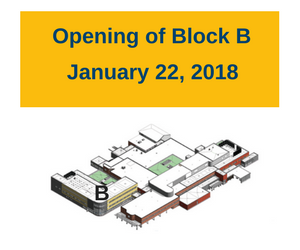 As of January 22, 2018, a new temporary main entrance will be located at the west end of Block B. As with all redevelopment project’s new premises, the Block B features new systems and state-of-the art technology, including registration, patient calling and internal signage systems. Over the winter, the entrance to the visitors’ parking will also change location, moving on Ghislain Street, behind the Trillium Building, just west of the present entrance on Duplate Street. It will feature new gates and a new electronic pay station system. The redevelopment project is a $160 million investment in infrastructure, medical equipment and cutting-edge technology. 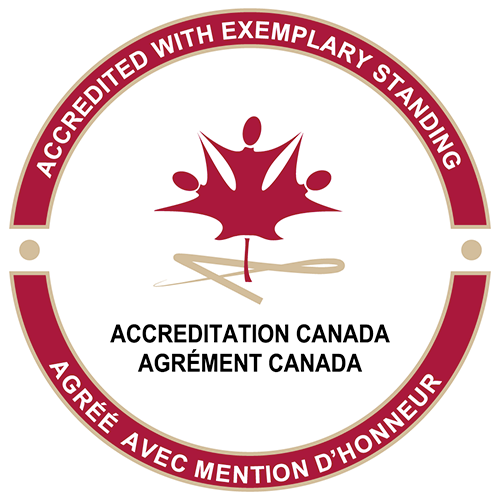 The moving of clinical services is a rigorously planned process to ensure patients’ safety and comfort at all times. Starting in February, users will have the option to pay for parking by debit, credit or cash, through electronic pay stations located indoors and at the parking exit. Parking fees will change from $4.00 to $5.00 per visit. New temporary Main Entrance – January 22. Entrance will be open from 6:30 am to 8:00 pm. After 8:00 pm, patients and visitors must use the Emergency Entrance.